During my „golf around the world trip“ in Scotland in the first half of 2017 something was going on in my heart, my soul and my golfing brain. 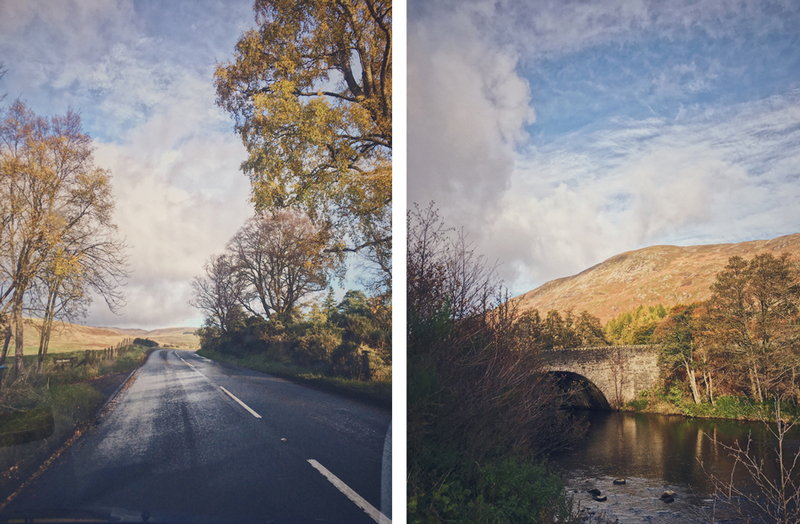 The courses, the wind, the folk music and the warm and welcoming people of Scotland, oh and not to forget whisky and Pale Ale, infected me. So I decided to visit my so called „heaven“ again. Yes, it was late in the year and not hot and sunny all the time but for me there is no bad weather when it comes to golf. I also decided once more to got to an area where people usually don´t go for playing golf and search for some hidden gems and other pearls. I woke up early at around 3am and headed over to Munich airport and jumped into the plane. Right after landing I picked up my car. I really recommend Easy Rent Cars via sunnycars.de they have a good and fast service in case of an accident or any other problems. Not far away from Edinburgh airport on my way to Perthshire I had a meeting with Grey Nickel and Scottish Independent Hostels. 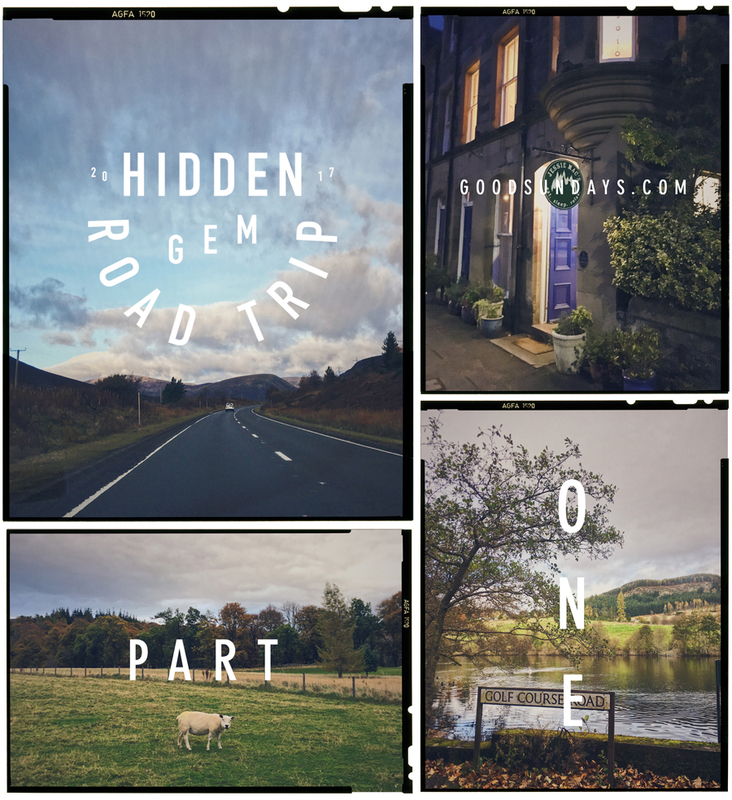 They supported and organized my 8 days “#hiddengemroadtrip” through beautiful Scotland. So after a very nice and successful chat I was so keen on golf. I came along Glen Eagles where I had a short rest and a walk around the course. Puh, I was so impressed by the great facility but I didn’t play over there. My first planned stop was Crieff GC a very welcoming, classic and great national territory golf course. It was noon and time to play a round. 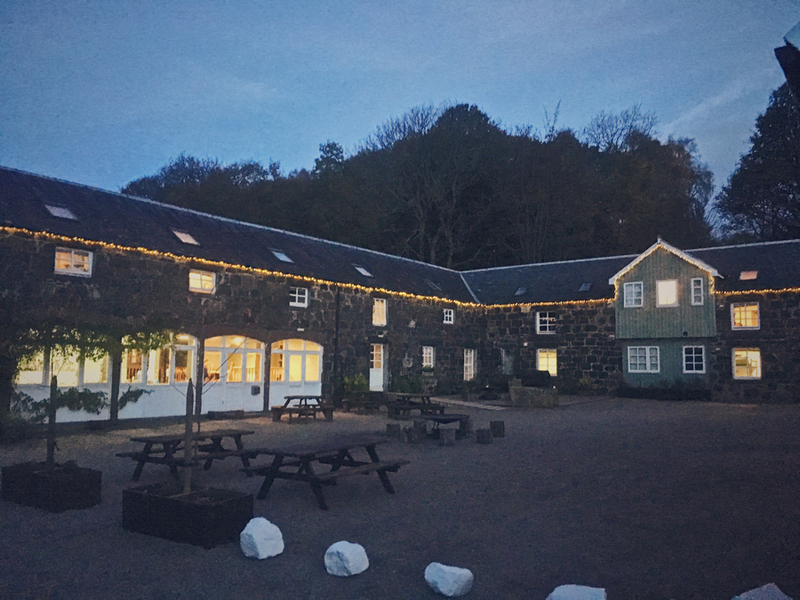 After the round I enjoyed my first Pale Ale and had dinner at the clubhouse restaurant before I drove over to Comrie Croft Hostel, my accommodation for the first night. 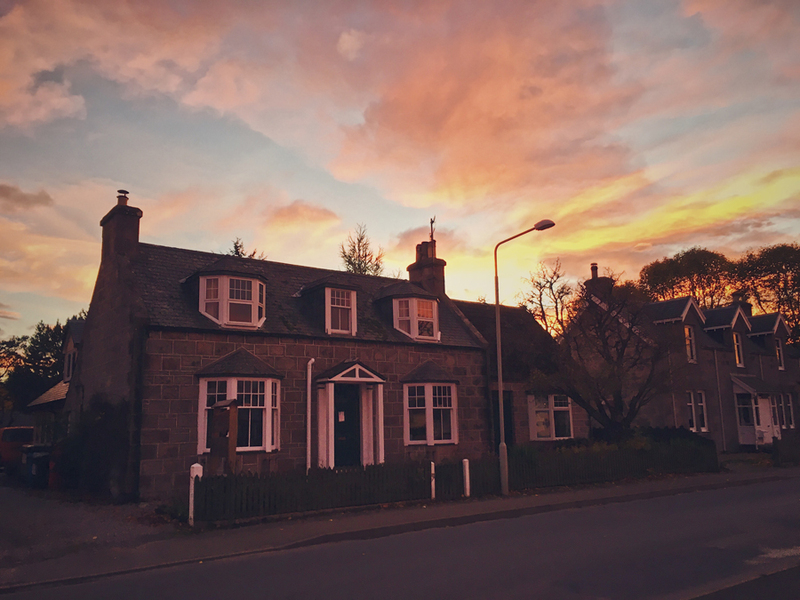 Comrie Croft is not a classic hostel, it’s more a great place or base for several outdoor activities like biking, hiking or for example being on a golf adventure with your best friends. Comrie Croft is very clean and the breakfast room and the shared lounge is very nice and well furnished. When I arrived there a group of mountainbikers sat in the yard, roasting marshmallows. I really liked the familiar atmosphere but I was way to tired. The next day was busy and a quite long ride was still to come. I woke up before sunrise and drove over to Crieff GC again to take some pictures. After, I had a nice conversation with David Murchie, the club professional. From Crieff I had one of this so called joyrides to the highlands straight to Pitlochry GC, the next course I needed to play. Oh I gonna tell you, this course is really amazing. The hole setting and layout is stunning. I played a good round and totally enjoyed it. I had dinner at the clubhouse restaurant again which was very tasty. From the course to my next accommodation the Jessie Mac’s B&B it took me just 25 minutes. Jessie Mac’s is owned and maintained by two lovely ladies. The rooms are neat, very very cozy an it was a pity that I just stayed there for one night. Jessie Mac’s is again a good spot for several outdoor activities and golf. I talked to the ladies and they told me that there is a folk session going on tonight in a pub called “Taybank“. Well, I love folk and tradition and the fact that people just get together and jam around. After this super comfy night I enjoyed a lovingly prepared breakfast with bacon and eggs and a porridge before I jumped into the car. I only wish I could have stayed longer. From Birnam to my next planed stop Boat of Garten it was just a 40 minutes drive, so I double checked the route and recognized that there is another hidden gem on my way. Kingussie GC looked very interesting because it’s straight in the middle of the highlands. Again a golf course with an awesome setting. I played a round before I arrived at Boat of Garten, one of the top courses I have played so far. 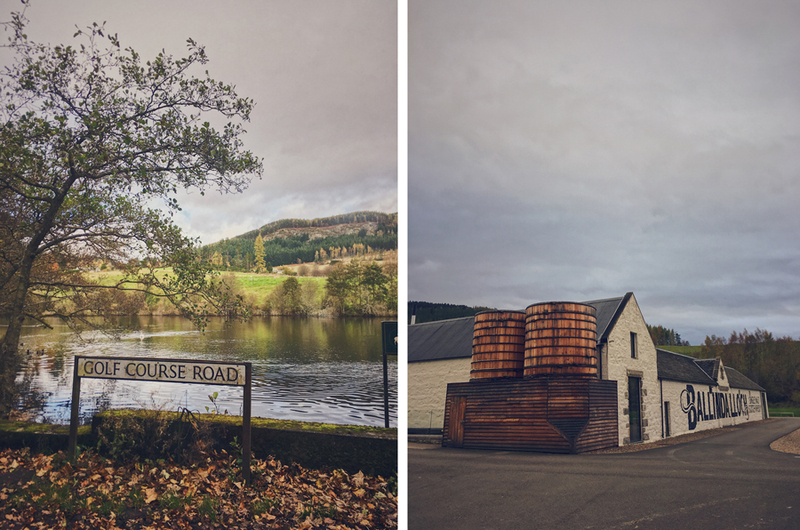 Contrary to the expectations you would have but an absolute must on your „visit Scotland bucket list“. The conditions of the course are just as outstanding as the setting. My organized home for the night was at Fraoch Lodge only a minute drive from the course. 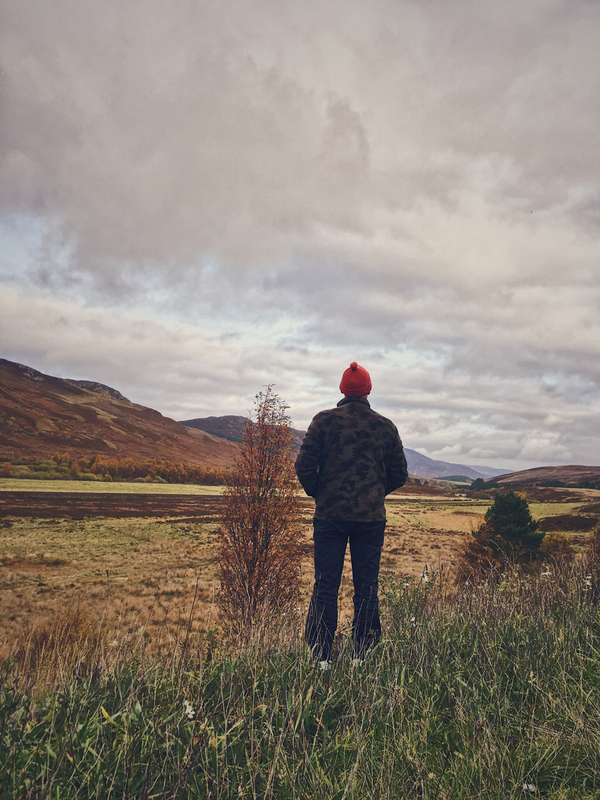 Fraoch Lodge is managed by a very nice couple who are real experts in outdoor trips and activities. They also offer short or long term outdoor trips. Beside that I had such an informing evening with David the owner of Fraoch Lodge. He introduced me to the overwhelming world of whisky and whisky tasting. 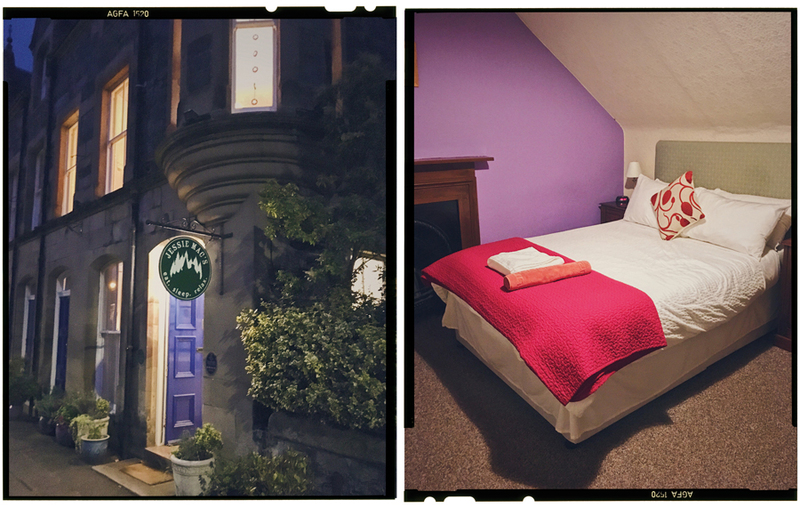 All the hostels and B&B´s were booked via Scottish Independent Hostels. For me a good way to travel, to meet nice people, to learn more about the area or get special recommendations for good local restaurants or even how to play a pipe. I sleeped very well. On the next day it was just a short ride over to Grantown-on-Spey where I had a teetime at the phenomenal Grantown-on-Spey GC. What a stunning course. The sun was coming out and I really enjoyed my round on this brilliant course. After the round I walked around the village of Grantown-on-Spey and had a tasty sandwich for lunch at “Just Delicisous!”, a small sandwich shop located on the main street. After I headed over to Craggan Outdoors and its par 3 golf course. The perfect place for families, groups and school classes. There is an amazing 9-hole par 3 golf course as well as a 9-hole disk golf and food golf course. Beside that there is an area for paintball matches or lasertag. You can go or learn how to kayak and even fishing is possible. Craggan Outdoors is the perfect place for any type of fun. But for me of course the most appealing fact is to play a good round of golf with the family on this great little golf course. A good way to test your skills on this par 3 gem. After my round I moved to this sweet little bunkhouse, where I found shelter for the night. Lonely located but the perfect place for some digital detox. The fact that there is no WiFi was really relaxing for one evening. But I had still some time left on this day to discover even more about the area. Not far away from Grantown-on-Spey there is another nice 9-hole golf course called Ballindalloch Castle Golf Course. Well, I didn’t played Ballindalloch Castle Golf Course because I was way to hungry and curious about the dinner recommendation I got. It was very worth it. 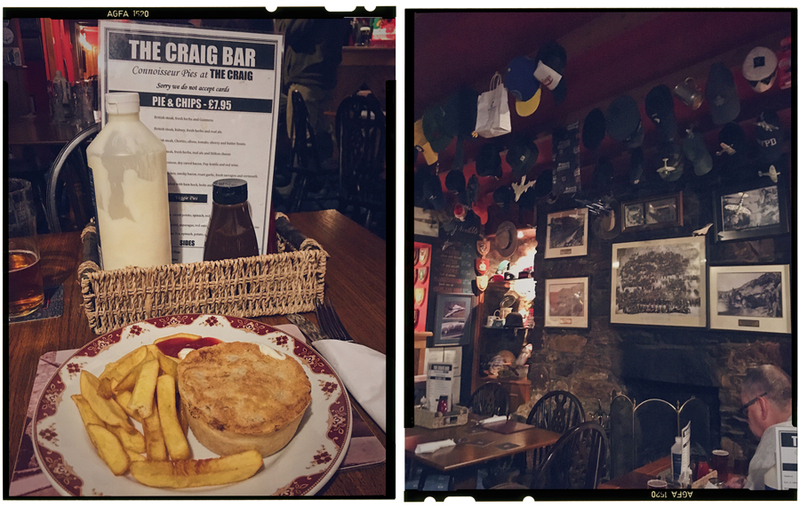 The Craig Bar is absolutely amazing. They are specialized in any type of pies and you won´t find anything else on the menu. I choose the “Chicken of Aragon” pie and it was way to delicious. After dinner I really needed a rest, it was a long exciting day and the next one supposed to become even more exciting.